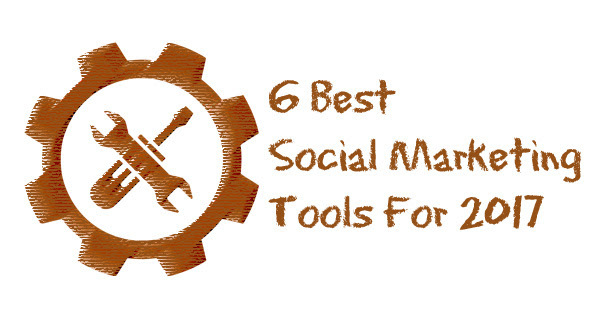 The following are six of the best social marketing tools available today on the market, they may not be the silver bullet but in a multitude of tools available, they are certainly the cream of the crop. Note that they aren’t arranged in any particular order. Buffer is one of the more popular social media management tools on the market. Its power lies in its simplicity. The tool has an easy learning curve and its most potent feature is auto-scheduling. With Buffer, you can schedule hundreds of your social posts and specify a posting schedule. After that, the tool goes to work for you. When you find a post performs particularly well in terms of likes and shares, you can send it back to the queue at the click of a button. Buffer also comes with nifty analytics to help you see how each post performs. You can also collaborate with team members. In addition Buffer has a Chrome extension to help you quickly share content that you love. What's more, you can use Buffer with other social networks such as Twitter, LinkedIn, Instagram and Google+. With a free account you can set up five social media profiles and schedule ten posts. But to truly unlock the power of Buffer, you need a pro account which starts at $10 per month. A single dashboard to quickly respond to comments as well as create automated responses. Advanced filtering to narrow followers to location and language. Team collaboration and editorial content reviews. Advanced analytics reports that include information on the best time to publish based on historical trends. A professional account starts at $25 per month. Agora is also a multi-platform social media management tool. With Agora Pulse, you will never miss never miss a tweet, comment or message. All messages sent to you is filtered to each social media account’s inbox for your review. You can also schedule and queue your content and visualize all your posts and tweets in a calendar. Agora also allows you to track every single post or tweet that’s been shared from your accounts. In addition, Agora has a feature to generate sharp and comprehensive Powerpoint reports. Fees start at $49 per month. Compare your content to the competition, custom groups or simply measure it up against the industry. See how your organic content measures up against your promoted content. Detailed reports delivered at pre-set intervals. Curated content tailored to your audience which allows you to maximize Facebook engagement. Schedule posts in advance for better productivity. Pricing starts at $9 per month. Pagemodo is a great tool to help you create a professional Facebook page, it also has a simplified Facebook Advertising. You can now create a Facebook ad in their intuitive design studio. The application also comes custom Facebook tabs that you can use to convert fans into customers. A product tab allows you to sell your products and you can reward fans with coupons. Quiet fans can be activated and you can generate new leads with contests, sweepstakes, and contact forms. The social marketing landscape has become very competitive and without the right tools you would be able to get your message our effectively and improve your productivity. Investing in the right tools is the difference between a mediocre campaign and a successful one.